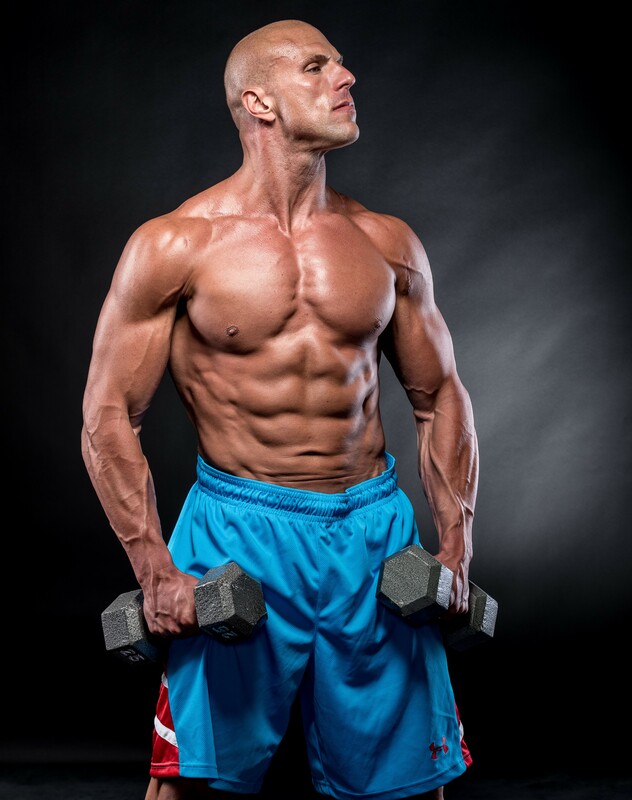 Today’s blog post comes from my good friend and personal coach, Ryan Faehnle. Ryan earned his Bachelor’s Degree in Exercise Science while serving in the U.S. Air Force. After college, he became an NCAA Division I strength and conditioning coach at Miami University, where he helped athletes from 20 different sports (from football to ice skating to powerlifting) achieve their physical goals. His abilities were acknowledged from the highest level when famed Olympic strength coach Charles Poliquin welcomed Ryan to his staff. 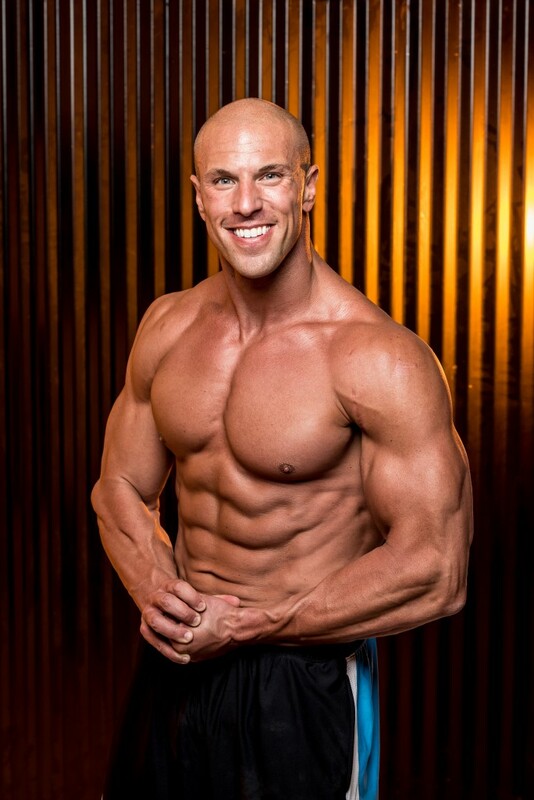 Coach Ryan has lectured internationally on training athletes, fat loss, hypertrophy, nutrition, energy systems, and supplementation. Ryan has been running a private consulting business for 5 years and has coached both athletes and coaches in the professional ranks and the Olympic Games. I believe in Ryan so much that he’s been single-handedly designing my training and nutrition programs for the last two years! Without further ado, allow me to hand the reigns over to Ryan. P.P.S. Ryan and I are re-opening our 1-on-1, high level physique and performance coaching! We only do this twice per year, so apply here if you’re serious about taking your body to the next level. Thanks for the great intro Vince! I’ve got some powerful info to share so let’s jump right in. 1. Eat to gain weight on the scale. Aim to gain 0.5%-1% of your body weight (BW) per week. For example, if you’re a 160 lb guy, you should gain 0.8-1.6 lbs per week. I’ve changed my mind on this one. 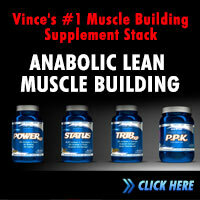 I used to say get lean and just build muscle slowly without gaining body fat. Unfortunately, this ends up being far too slow—it’s more effective to cycle between dedicated mass phases and cut phases. Yes, there will likely be some fat gain, but you’ll build a lot more muscle in the long term. The only people who need to stay shredded year round are top-tier physique athletes who earn their living from maintaining that level of conditioning. As a general rule, you should overshoot your goal ripped look by about 20 pounds. 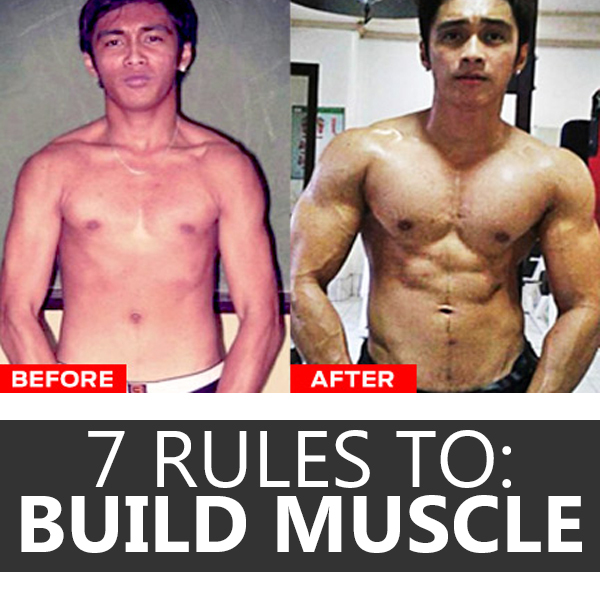 That is, if you want to be a ripped 200 pounds, you should bulk to 220 pounds. Keep in mind that your metabolism is a moving target. 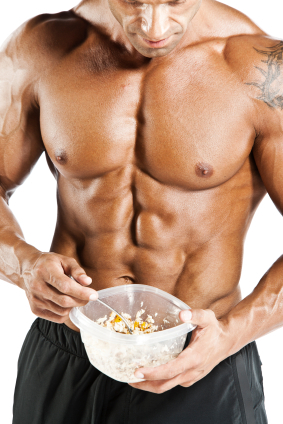 As you gain muscle, you’ll need to increase your calories to continue adding mass. Research demonstrates that—in a hypercaloric state (meaning you’re actively gaining body weight)—a protein intake of 0.8 grams per pound BW is ideal for muscle gain. I like to have my clients shoot for 1 gram per pound BW, just as a little extra insurance policy. Most people are consuming WAY too much protein. Once your protein and carbs are set to the above values, we add fats as necessary to get the scale to move. Taking our 160 lb guy as an example again, once he’s consuming 160 grams of protein and 160 (non-training days), 320 (upper body days), and 480 (lower body days) grams of carbs per day, he’d set his fat intake at a level that allows him to add weight on the scale as described in #1 above. 3. Add “touch-up” sessions to increase training frequency per body part. 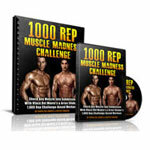 Research shows that, for natural guys, training body parts twice per week is superior to training them once per week. Protein synthesis (muscle repair and growth) is elevated for 36-48 hours after an exercise stimulus. Therefore, if you only train a body part once per week, it just sits there unstimulated for 5 days! Touch-up sessions are an easy way to hit body parts multiple times in one week. A touch up is typically one or two sets of a joint-friendly (choose machines or dumbbells over barbells) exercise, performed at the end of a session. For example, at the end of your back training day, you could perform a touch up for chest, and you could perform a back touch up at the end of your chest session. A few of my favorite touch-up protocols are 2 sets of 25, a single 10-10-10 drop set, and 1 set of 50 reps. Right now, each week, I’m doing one full session per body part and two touch-up sessions per body part. 4. Respect the 3 stimuli for hypertrophy. An emphasis on the eccentric/negative phase (where the load is travelling towards the floor) of a movement. Only about 50% of your muscle fibers are activated during the eccentric, but they’re activated to a MUCH greater degree relative to the concentric phase. Heavy weight in a given rep range. For example, 10 reps with a weight with which you couldn’t possibly get 11 reps.
High volume—the more sets you do, the greater potential for muscle damage. Changing program variables—doing things differently (for example, changing exercises or changing splits) is one of the easiest ways to produce muscle damage. Mechanical Tension—significant load placed upon the muscles. Heavy weight, with proper execution, creates maximal peak tension. Taking the bench press as an example, we would focus on blasting the bar away from our chest with maximum force. Squeezing harder with a lighter weight can also increase mechanical tension. Using the bench press again, we could focus on moving the bar by squeezing our pecs rather than focusing on maximum force. This would provide tension through the full range of motion (ROM). Both peak tension and tension through the full ROM are necessary for optimal hypertrophy. There are multiple ways to organize these stimuli into a training program. You could spend entire phases on a given stimulus, rotate through them on a daily or weekly basis, or even use all 3 stimuli in a given workout. 5. Maximize your days off. You don’t grow when you train, you grow when you recover! I’m talking to YOU, hard-gainer that lifts 7 times per week and does fasted cardio in the morning to keep your abs at 140 pounds! You need a calorie surplus, which involves eating more and moving less. Don’t run when you can walk, don’t walk when you can stand, don’t stand when you can sit, and don’t sit when you can lie down! Research shows that you can’t fully replenish your glycogen stores without days off, so don’t think you can just ramp up your carb intake and beat the system—you can’t! 6. Plan your training cycles in 16-week blocks to avoid getting stuck in a rut. 7. Use partial reps after failure. These can be done in the stretched or contracted position depending on the safest position for the exercise you’re performing. For example, we would do partials in the stretched position for lying leg curls; whereas, for hack squats, we would use partials in the contracted position. As a general rule, doing partials on your last set of an exercise should be plenty—doing them every set would be extreme overkill. In addition, we typically avoid using partial reps after failure with barbell and dumbbell movements (please don’t try this with barbell squats or deadlifts!) unless we can do so in a safe position—incline dumbbell curls, for example. Still reading? Great! I’ve got 2 bonus rules to reward you for your above-average attention span. Bonus #1. Respect the minimum threshold for hypertrophy. The majority of the work that you do should be with at least 60% of your 1 rep max. That means if your 1 rep max on bench press is 300 pounds, the majority of your sets should be performed with 180 pounds or more. This minimum threshold is the reason I don’t love giant sets for everyone and why intentions don’t work for everyone—these methods often force you to use loads under 60% of your 1 rep max. Further, the necessary rep range for hypertrophy varies between body parts and exercises. That is, the number of reps per workout you need to perform at or above 60% of your 1 rep max to stimulate growth depends on what you’re doing. You might need to perform 50 reps on the leg press to stimulate growth in the quads, while you may only need 12 reps to achieve biceps growth. Postural muscles, like the neck, typically require over 100 reps! Bonus #2. Daily activation drills for weak body parts. Weak body parts are often those with poor innervation—the nerve supply itself is inadequate and/or the signal from the brain to the muscles is weak. You can do all the extra sets you want, but until you improve innervation, your weak body parts will likely remain weak. You must perform daily activation drills for these weak body parts. (This is not my idea—I got it from the best physical therapist I know.) First, put the weak muscle into its fully shortened position. Then, contract that muscle as hard as you possibly can for 10 seconds. Repeat for a total of 10 sets of 10 second isometric contractions. Do this every single day, preferably twice per day. 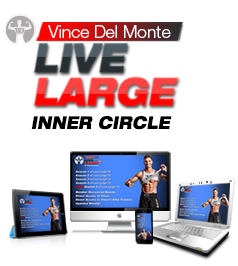 Are YOU ready for a program that implements every single one of these strategies to give you the best possible results in the shortest amount of time? Apply for 1-on-1 coaching, the most cutting-edge, customized training and nutrition coaching available! I’d love to have the opportunity to show you what you’re capable of. Which of these rules are you most excited to implement? Which rules are you confused about? Leave your comments below! Thanks for the very informative article. I am very closely following your blog and follow most of the tips, as well as your recommendations for training! And I have already achieved quite big results, for which I want to thank you so much! Especially useful for me were your advice on proper nutrition, it helped me most of all to achieve the result for which I worked so long and hard. In conclusion, I want to express my deep gratitude to you, if it were not for you and your blog, I would continue to stumble on! Good stuff fellas! I’m a 54 year-old man with two knee and one shoulder surgery so now leaning toward joint-friendly workouts to grow muscle without injury. So this is useful way here to get the way here. How much sets by muscles? And what about warm up by muscle befor réal sets? Thank you for sharing excellent informations. Your web-site is so cool. I am impressed by the details that you’ve on this website. It reveals how nicely you understand this subject. Bookmarked this web page, will come back for more articles. You, my friend, ROCK! I found just the information I already searched all over the place and simply couldn’t come across. Awesome post, really. Some great insights here. 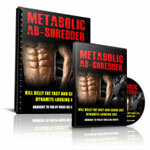 How do you feel about the possibility of forming new fat cells as part of a more aggressive bulking process? Assuming that’s a thing, I worry that when I do edge toward the dirtier side of the bulk, I’m creating new fat cells I’ll never get rid of. Especially on those damn lower abs! You definitely don’t want to get aggressive with the bulk or use it as an excuse to eat junk food. If done correctly, you’ll start your gaining phases when you’re already lean so that you won’t risk getting too fat over the upcoming 12-16 week mass cycle. You will definitely form new adipocytes if you let fat get out of control and insulin sensitivity will also be negatively impacted, meaning that you won’t be putting on as much muscle as you want. 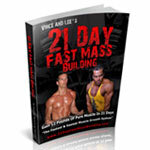 For that reason, I tend to like to end the mass phases at no higher than 15-16% body fat, if that. Just want to say these two podcasts have been amazing. 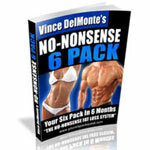 Some incredibly valuable info presented in a very easy to understand and implement way. Really enjoyed listening to them! Keep them coming. Thanks for the comments guys, glad you enjoyed the info. Mike Berg I know I’m gonna see some BIG Pythons on you next time we link up brother! This is one of the best articles on building muscle I’ve read, Ryan. Detailed, yet not saturated, easy to read, and actionable. Thanks for the insights! A good information-packed article from which most can learn a lot. My body won’t tolerate that level of carbs even on my heaviest days – I put on fat weight way too easily and whilst it is reasonably simple to get it back off, it is hard work. Thanks for having Ryan on-board for this Podcast. The macro nutrient and touch-up sessions were very informative. Due to my work schedule, I’m limited to a home gym and can’t wait to put these tips into practice. Thanks again. THANKZ BRO! this is by far the best article I’ve read on the Internet! I’ll implement all of them in my coming workout.. This is just what i needed! Thankz a million! God bless.. I got to say the macro nutrient breakdown on the amount of carbs you need for upper and lower body parts was a HUGE insight for me. I’m going to use this method right away. Now I know what to do to grow my legs. 627 grams of carbs on leg day, here we come!